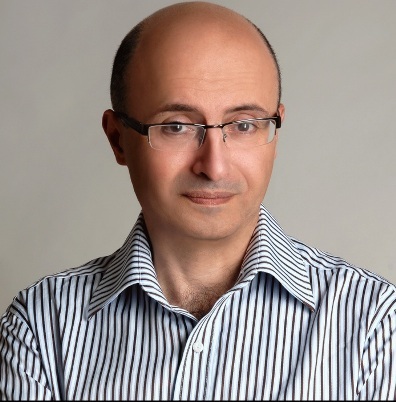 Social media entrepreneur William Mougayar loves to comment – on almost anything and almost anywhere. So it’s probably no surprise that his latest venture, Engagio, is all about enabling people to gather all their conversations from different social media site into a single site. That’s right. No need to open up a tab each on your computer screen for Facebook, Twitter, LinkedIn, Disqus, Google+ or whatever. All you need is just one clean Engagio inbox for all your social networking conversations. It was such a cool idea that less than two months after Engagio’s launch, it received massive positive word-of-mouth endorsement and eventual seed funding of $540,000 from Rho Canada, New York-based venture capitalist Fred Wilson of AVC, Real Ventures, Mike Yavonditte and Extreme Venture Partners. William Mougayar, CEO of Engagio. But before Engagio there was Eqentia Inc., a semantic news platform that aggregates Web content into topics enabling the user to curate content they care about. Technology news publisher ITWorld Canada is one of the businesses that have a stake in Eqentia. “Building a business is not like erecting a building,” Mougayar told an audience of startup operators and marketing professionals at a recent entrepreneur meetup called Third Tuesday in Toronto. However, Mougayar’s penchant for commenting eventually led Wilson to choose him as one of two persons to moderate the venture capitalist’s blog. “There were no formalities. I was surprised; Fred just announced it online,” said Mougayar. “I had to go to several sites to track replies in order to determine who I was commenting on or responding to,” Mougayar said. That was the market problem. The solution at that time was still “blurry” but the general idea was “a single social inbox” that allows users to manage all their social media discussion in. “When I presented the idea to Wilson, he liked it. He said make it like Gmail, but for the social Web,” Mougayar recalled. He quickly got a team together to work on the new project. Eight weeks later, the product was ready for testing. By December last year, Wilson announced Engagio’s beta testing on his blog. The service went from 20 users to over 3,000 just before its official launch. At the Third Tuesday meetup, Mougayar received numerous queries from public relations and marketing professionals about what functionalities he planned to add Engagio. For the moment, Mougayar want Engagio to serve consumers who want to manage their social media conversations. But he doesn’t count out making money out of Engagio by developing apps and services for businesses. Other services such as TweetDeck and Hootsuite straddle Engagio’s market, but these services provide “lower level social engagement geared towards ‘liking’ and ‘retweeting’,” said Mougayar. On the other end, services such as Radian6, Sysomos and Brandwatch provide higher end and higher-priced social media monitoring and CRM (customer relations management) functions ideal for business use. Keep your options open – No business plan is written in stone. Be ready to identify and take advantage of opportunities as they arise. “Remember, Twitter was born out of a pivot,” he said. Don’t quit – Keep on pitching. Keep on generating new ideas. Angry Birds was the 67th game that its creators developed. Stay away from enterprise software – Well at least if you’re a small startup, developing enterprise software should be the least of your targets. That’s because large enterprises want to buy their software mainly from established software firms. Also developing software for this market involves a lot of money and time. Relationships don’t matter – There are many forms of relationship. Some can be detrimental to your business. It’s the trusted relationships that you should seek and develop.